The Manx TT is a thing of legend. A road track which takes in the beauty of the Isle of Man thanks to the mix of countryside and town that the track cuts through. Not that you’re able to appreciate such things if you’re the one travelling at 120mph towards an inexplicably tight bend. 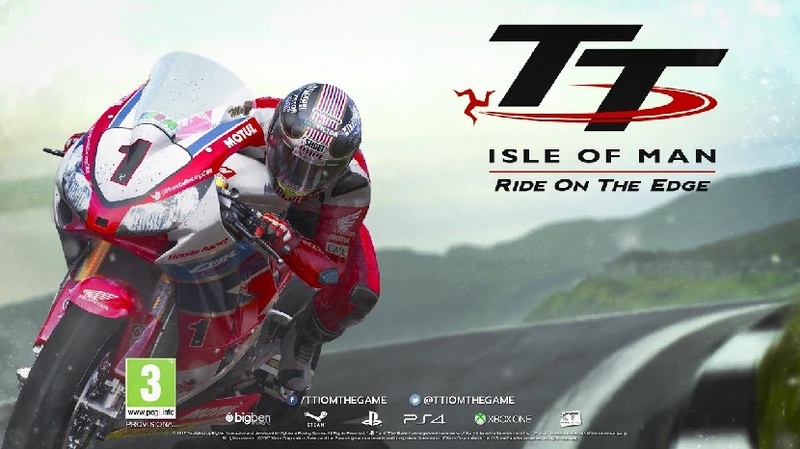 This Isle of Man TT game aims to recreate the spectacle and the speed of the race, though the rough edges in the presentation are a warning sign that the former might be a stretch here. On first play, a short tutorial takes you through the basics where you’ll learn to (eventually) not fall face first into the tarmac and start to get used to the controls. This being more of a simulator, it’s surprising to see so many arcade style options turned on from the start, but all of these can be tweeked later. The initial menu leaves a lot to be desired, perhaps too much of the concentration from Kylotonn Games went on ensuring the game perfected the famous TT track and bike physics with little time to fix the binding that holds it together. There are options to race on a small series of imaginary tracks around the UK, but the main highlight and focus is, rightly, on the TT and these are just a nice bonus. Likewise, the list of Superbikes on offer here isn’t extensive by any means. It’s a fairly slim package, all told. The developer’s love for the race really shines through when you start properly playing the TT track of the title. This is not a race for the feint hearted and the game really hammers that home. There are a range of assists on offer from ABS, Traction Control System to Anti-Wheelie, all of which help dampen the difficulty but, at the same time, take something away from the simulation. Switching to Simulation mode with AI set as Expert will test you to the limit but really makes the game live up to the race it represents. The sense of speed is heightened by abundant use of a blur effect as you hit the speeds above 100mph and it works to mask some of the less detailed modelling on the side of the road. Generally, the attention to detail on the placement of houses, churches and landscape is great when it comes to matching the real world track but to fit it all in without sacrificing speed, stopping next to many of the buildings does reveal the corners that have been cut. While the game runs at only 30fps on consoles, it still feels very responsive and handling feels as it should for a game that requires split second timing. In some ways it’s difficult to love Isle of Man TT, the game feels like the sole focus is on the main race and even presentation has taken a back seat to getting an accurate depiction of this one track, but the Manx track, the feel of the bikes and the sense of speed redeem the game for fans of the TT race.